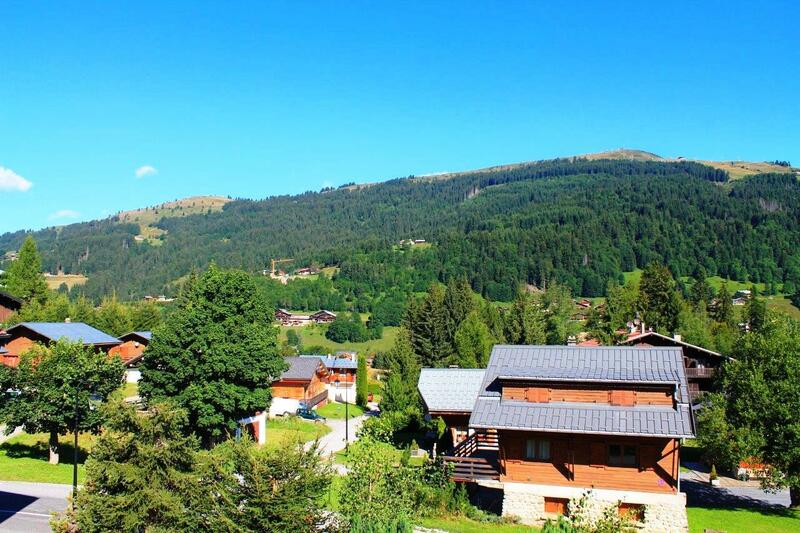 A duplex apartment near Les Gets ski slopes and village entrance in a quiet part of the resort. 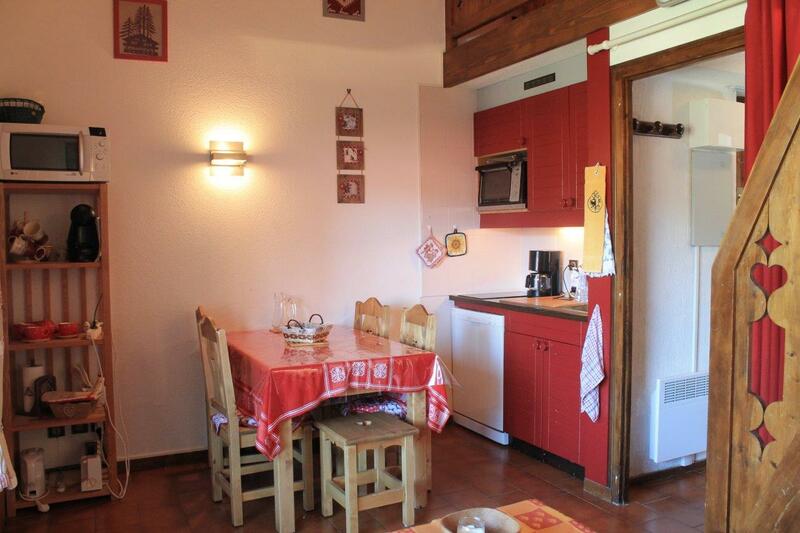 It is in quite a small residence building and has a total floor area of 38m². 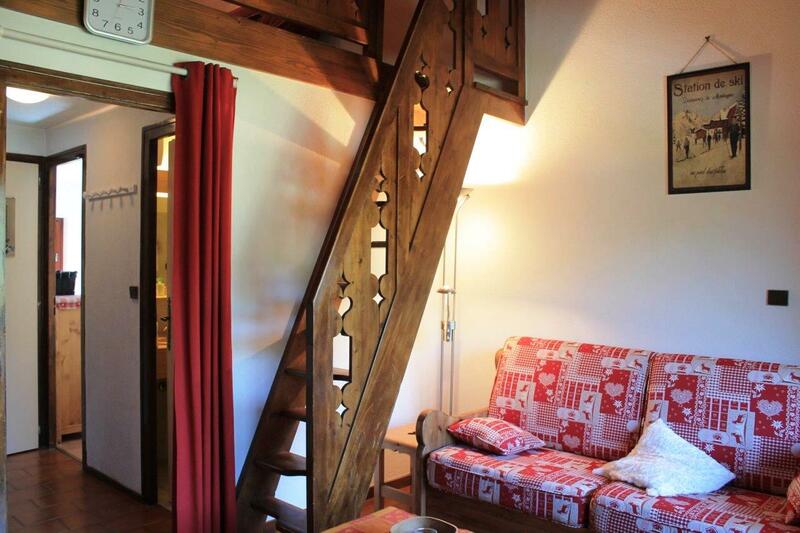 There is a cabin style bedroom on the main floor with pull two down beds and the large mezzanine floor could also be a bedroom. 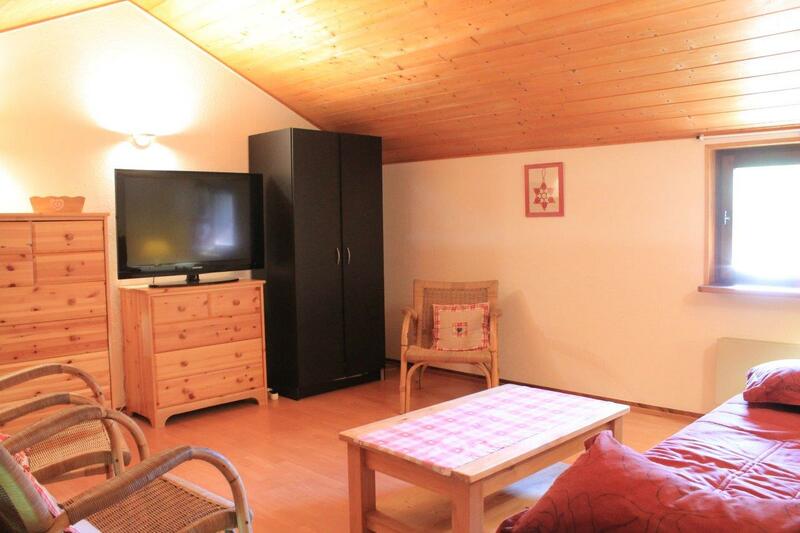 The property is sold with a garage and a ski locker. The roof and the façades have been renovated so no costly outlay in the near future. 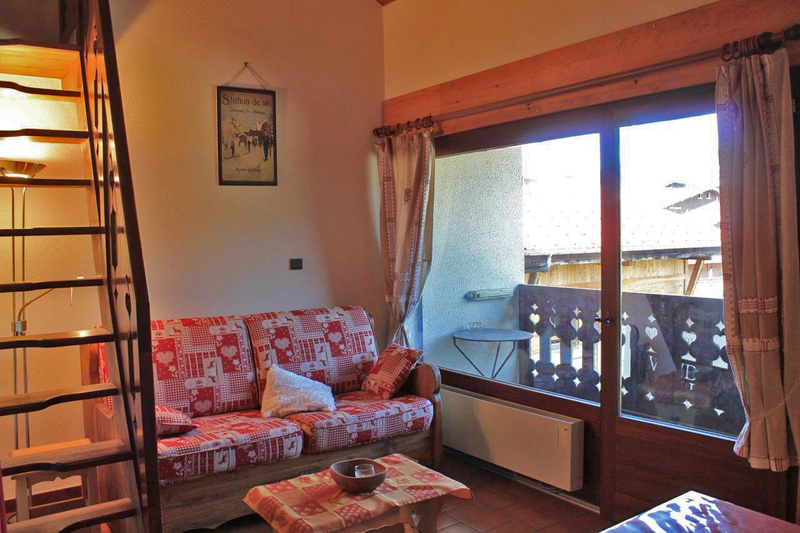 Entrance hall, living room with a kitchenette and a balcony, a cabin style bedroom with a window and two fold down beds, shower room and separate WC. 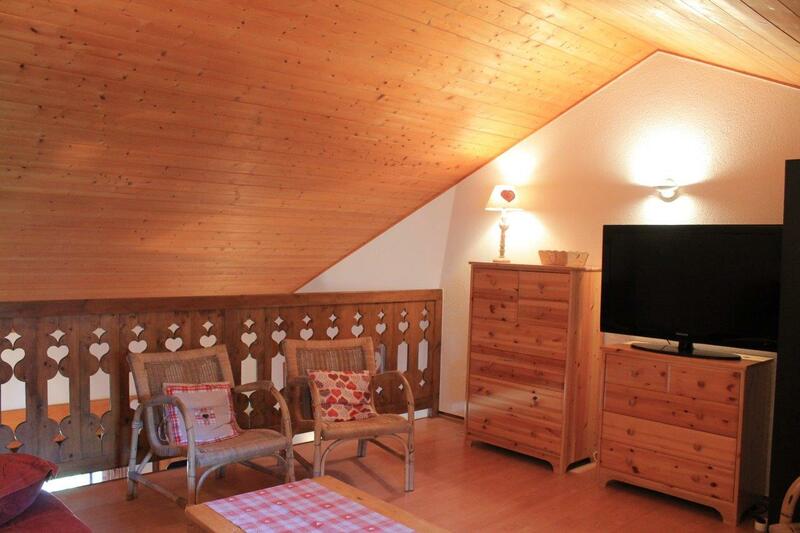 The sizeable mezzanine (15m²) could be used as a sitting room or as another bedroom. 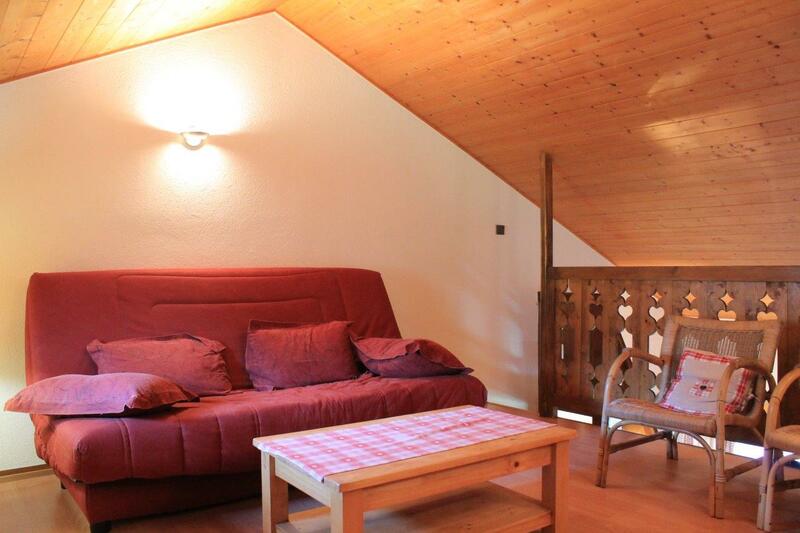 Included in the price you have a ski locker and a garage.